With the CRYB’s annual holiday tradition fast approaching, and a handful of dancers on the verge of aging out of the program, the organization has given several leading roles to its up-and-coming dancers. The 1892 Tchaikovsky ballet has been a holiday tradition with the ballet company for more than three decades. This year’s production will appear on the Reg Lenna Center for the Arts stage on Friday, and Saturday. As per usual, the ballet will also benefit from CRYB’s regular practice of rotating dancers into different roles from year to year. This is most easily accomplished by allowing dancers to take on bigger and more demanding roles as they age through the program. Generally, the transition comes with its difficulties because the dancers must learn an entirely new choreography, but the performers’ familiarity with the ballet as a whole makes for a smoother process. The aforementioned dancers to be graduating in the spring are Kaitlin Healy and Amelia Dolce, both of whom have been with CRYB for more than a decade. “I’m excited because this is my last year, and I’ve been a part of ‘The Nutcracker’ for 12 years,” said Dolce, who will dance in the snow corps, flower corps, Arabian corps and as a party mom. Healy, also a 12-year member of CRYB, will dance the roles of the Dew Drop Fairy, Clara’s mom, a Spanish dancer and in the snow corps and the flower corps. Other notable performances will be given by: Cecelia Johnson, who will perform the role of Clara; Cate Walter, who will dance as the Snow Queen and is the Merlaton soloist; Megan Stefanik, who will also dance as the Snow Queen and is the Arabian soloist; Maya Swanson, who is the Sugar Plum Fairy understudy and the Chinese soloist; and Shawn Sprankle, who will dance as the Nutcracker Prince. Each of these dancers will also assume other minor roles in the ballet. First-year dancers include Lillian Jache and Bryce Jache. Lillian will perform as a dancing maid, in the Merlaton corps and in the snow corps. Bryce will perform as a party dad, the Rat King and in the Russian dance. Last month, the CRYB announced that Kirsten Evans and Alex Lantz from Festival Ballet Providence will dance the roles of the Sugar Plum Fairy and her Cavalier. Public performances are scheduled for Friday, Dec. 9, at 7:30 p.m., and Saturday, Dec. 10, at 2 p.m. Tickets are $30 for loge seating, $25 for adults and $12 for children. Tickets may be reserved by calling the Reg Lenna box office at 484-7070. A special patron package is also available on opening night, which includes two tickets to the performance and in invitation to a pre-show champagne reception with hors d’oeurves and a signature cocktail by Nick Dean. The cost for the patron package is $150, and can be purchased through the CRYB studio at 664-9766. In addition to the public performances, CRYB will also present a performance for area schools on the morning of Friday. Schools interested in attending should contact the Reg Lenna box office. 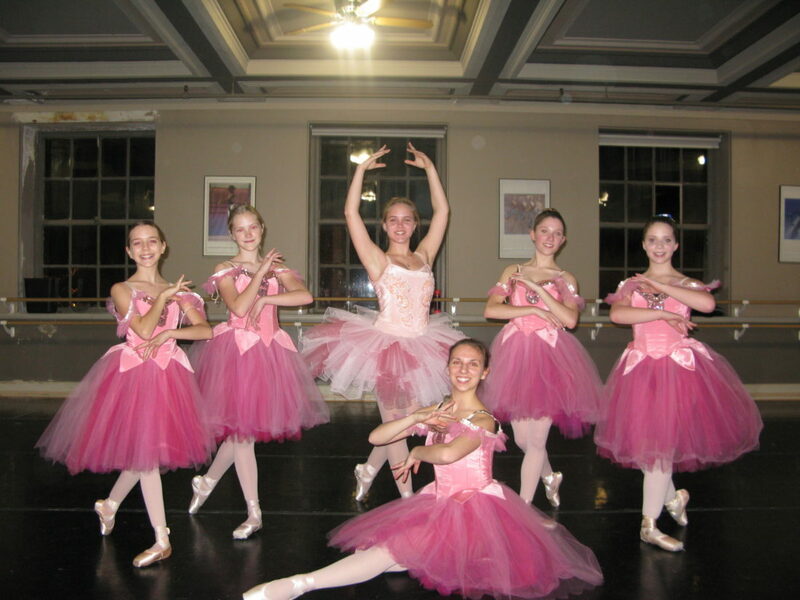 “p1″>A portion of this year’s production of “The Nutcracker” was underwritten by M&T Bank. For more information, visit cryb.net or reglenna.com.